Biscuits for sale on a stall in Bolton’s market hall in the early 1980s. 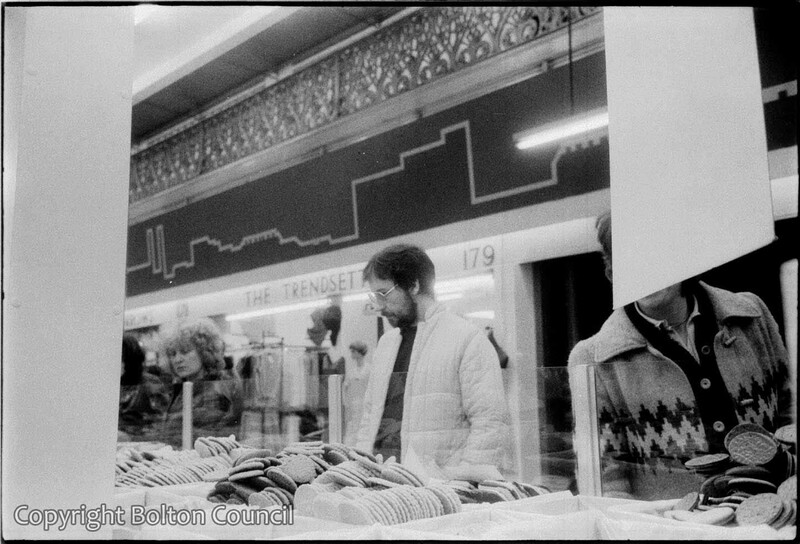 The clothing stall visible in the back of the photograph is called The Trendsetter. The hall has now become an indoor shopping centre. Bolton’s other market on Ashburner Street is still open and bustling (2012).